Professional DJ specializing in house, techno, midtempo, lounge, & chillout. Host of the Gran Reserva Radio Show on Dancegruv.net. Owner of Bunn DJ Company (SD Office). Former Owner/Head DJ of Mosaic Lounge. Feinberg’s versatility and pan-global DJ style reflect more than two decades spent behind the decks. Beginning with a high school radio show in Dallas, Texas, & on college radio at Wake Forest University, his love of music and the art of DJing have led to numerous performances around his current home in California & to destinations including London, Ibiza, Playa Del Carmen, New Orleans, Miami & Dallas. He has shared the booth with a number of renowned musicians, producers, and DJ’s including Kenny Dope, Mark Farina, Kevin Saunderson, Colette, Justin Martin, DJ Dan, 9th Wonder, Sonny Fodera, Terry Hunter, Jojo Flores, Roy Davis Jr., Terrence Parker, Rich Medina, Chuck Love, Midnight Conspiracy, Nickodemus, Halo, Julius the Mad Thinker, Todd Terry, Boddhi Satva, Lars Behrenroth, Sabo, Stacey Kidd, Sunshine Jones (Dubtribe), Jask, & many more. A classically-trained musician, Feinberg began his musical career with the Texas State Choir and St. Mark’s Choir, performing around Texas and the Midwest, and across Europe at locations including Notre Dame Cathedral (Paris), Mont San-Michel (Normandy) and St. Paul's Cathedral (London). While earning his BA at Wake Forest University, he sang alongside poet Maya Angelou during the musical premier of her presidential inaugural poem, “On The Pulse of Morning.” His graduate studies led to in-depth research in ethnomusicology and music history at Duke and Oxford Universities and to spend extended amounts of time traveling and studying in and around Barcelona and Ibiza. 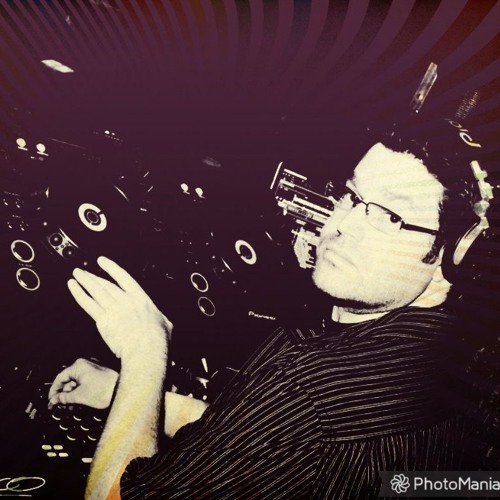 Steven's exposure to so many diverse music genres contribute to his unique DJ style, which can include funk, samba, jazz, hip hop, nu disco, salsa, reggae, downtempo, merengue, dancehall, Afrobeat, and Arabic, as well as a wide variety of house and other electronic genres. In addition to acting as Owner/Resident DJ at Mosaic Lounge until his move to San Diego, Steven has hosted a variety of weekly and monthly events, including Discoteque (Mosaic), Revolution (Lincoln Theatre), Variations in House (Red Room), We All Love House (Aries/Mosaic), Descanso (Helios), Flavour (Mosaic)& many more. He also has acted as Co-Planner and/or Resident DJ at several annual festivals and conferences, including Duke University's Across The Threshold conference series, the Mosaic Spring and Fall Music Festivals, the “Mosaic in Miami” Events at Miami WMC, and the Mi Casa Music Holiday in Playa Del Carmen, Mexico.